Champagne Castle is a mountain in the central Drakensberg range, and is the second highest peak in South Africa. 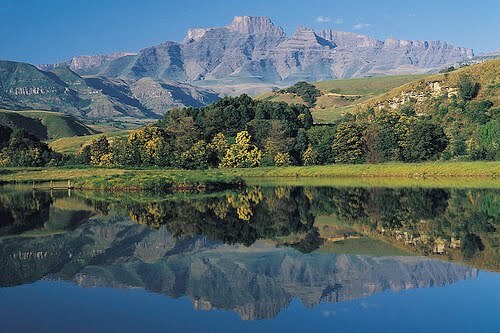 It contains a series of subsidiary peaks, amongst them, Cathkin Peak (3149 m), Sterkhorn, Mount Memory, Monk's Cowl and Dragon's Back. It is said that when two intrepid mountaineers, David Gray and Major Grantham, climbed the peaks directly in front of Cathkin, they were about to celebrate their long haul by popping a bottle of champagne. 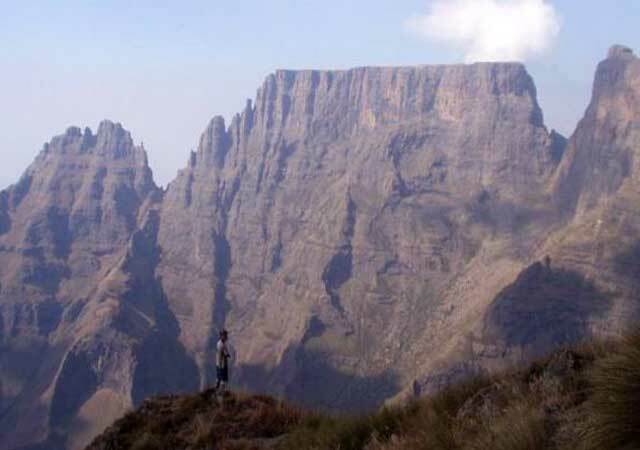 But as fate would have it, the guide dropped the bottle on a rock – and in that moment Champagne Castle in the heart of uKaHlamba (Barrier of Spears) was christened.